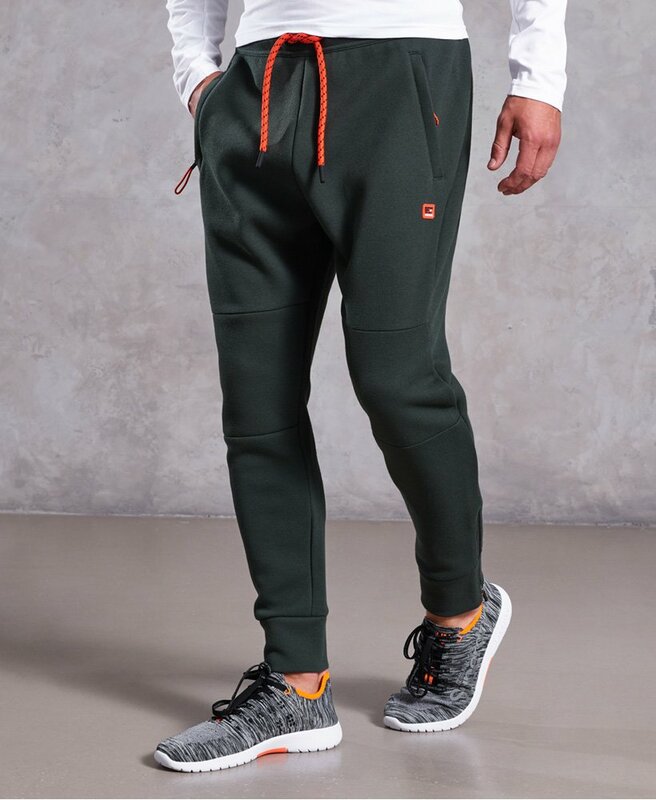 Superdry men’s Gym Tech pique joggers. Work out in comfort and style in these joggers, featuring thermal properties, an elasticated waistband with a bungee cord adjuster, two zipped front pockets and a single zipped back pocket. The Gym Tech pique joggers are finished with a zipped cuffs and Superdry Sport logo badges on the thigh and reverse.